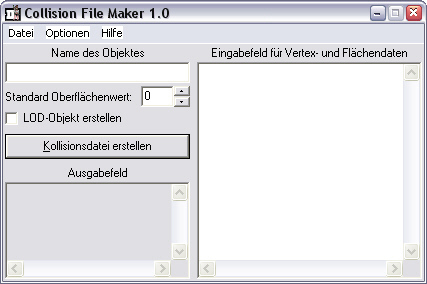 With the CollMaker you can create collision files for GTA III and VC based on .x mesh files. New features are the support for LOD objects and the mirror function. You need either 3D Studio Max with Panda DirectX Exporter 4.1.0.29 Plugin or ZModeler.